There’s who delivers soul massages at home, who offers to accompany us at weddings, who sells a gun with a smalle case provided with a lock. And then apartments for rent, old cupboards at a very good price, and more. 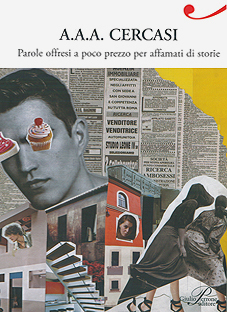 On the one hand, real ads clipped from Porta Portese, E-bay, the internet, announcements of the most disparate, that promise, wink, contain a idea for a story. On the other hand young writers seeking those stories, rewriting the ads and pouring reality in the unconcious of writing.